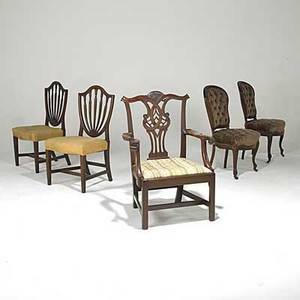 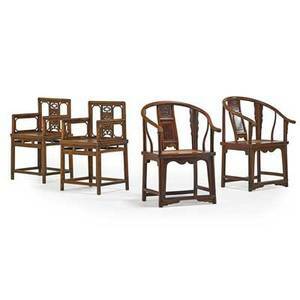 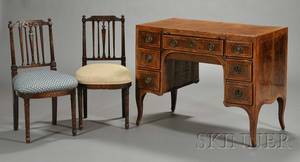 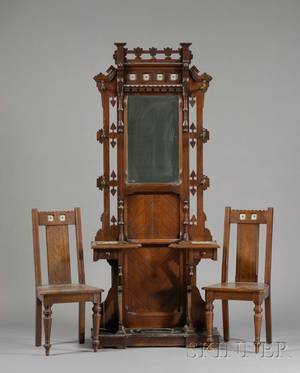 Chinese chairs; pair of yoke back chairs and pair straight back chairs, all with hardwood frames, 20th c.; largest: 37" x 26" x 18 1/2"
Pair of federal side chairs; mahogany, ca. 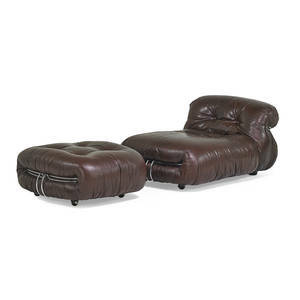 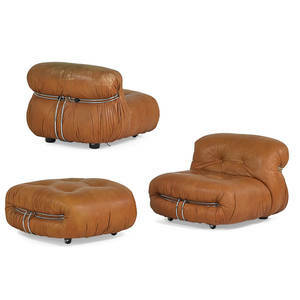 1800, together with a mahogany armchair and pair of victorian side chairs in walnut, 19th c.; tallest: 39 1/2" x 28" x 23"
Tobias scarpa; pair of soriana lounge chairs and single ottoman, italy, 1970s; leather, chromed steel; distributor and manufacturer"s labels to all pieces; chairs: 26" x 36" x 39", ottoman: 16 1/2"
Club chairs; pair of small club chairs, usa, 1930s; stained wood, wool; unmarked; 27" x 26" x 29"
Hans bellman, harry beroia; knoll; occasional table together with pair of child"s chairs; table: 21" x 24" dia. 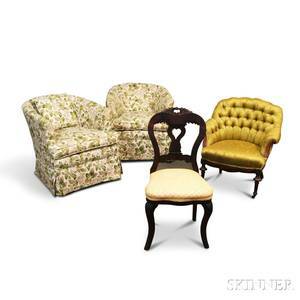 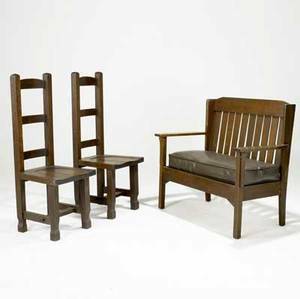 chairs: 24" x 16" x 16"
Arts & crafts pair of highback side chairs in oak together with a wingback settee. 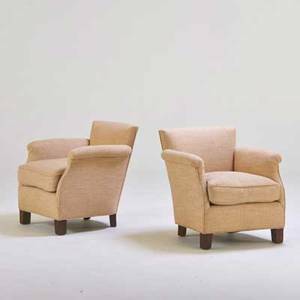 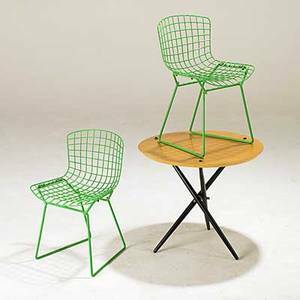 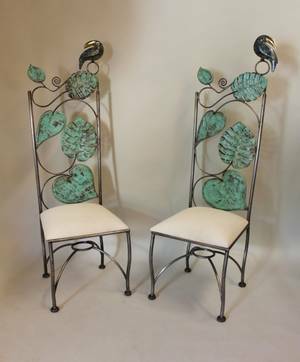 chairs: 48" x 17 1/4" x 18"